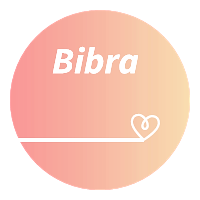 Bibra brings you the most assorted collection of women’s rompers for sale online. A jumpsuit is an ideal way to make your silhouette look longer and create a leaner and taller appearance. Variants in colors and designs make our rompers collection the best to make an ideal pick. Treat your eyes to the collection of vibrant jumpsuits that is a perfect wear for a summer afternoon. Lacy, embellished and trend pattern jumpsuits let you create head-turning looks. Buy Cheap Jumpsuit For Girls Online and pair them with ballerina flats or wedges for a cool casual day with friends. You can enhance the look with tangle earring or large hoops from your existing wardrobe collection. Make a sassy look come alive for you as you pick a gorgeous jumpsuit off our racks. Create a feminine look and feel comfortable all day long with these exotic rompers made of summer suitable fabric.